Now that we are in our forties, my best friends and I don’t really exchange Christmas gifts anymore. We try to save our money and spend a little on all our kids instead. However, when I saw these ornaments on sale, I couldn’t pass them up. 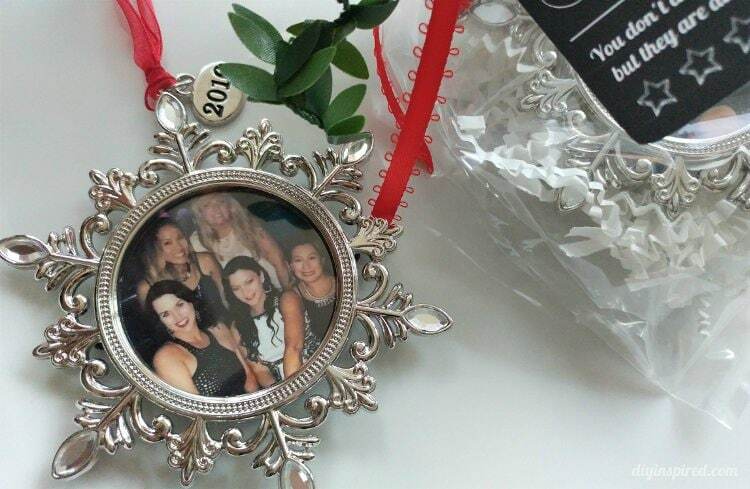 I thought they were the perfect small best friends Christmas gift idea for my four besties at our Christmas party. There are five of us in this circle of friends. We have known each other since we were 18 and in college. We call each other “our stars” because there are five of us and a star has five points. We even got matching star tattoos at one of our Vegas girls trips one year. One of my stars found this quote online, “best friends are like stars, you don’t always see them but they are always there.” Although there may be distance and long stretches of time between our reunions, we will always be there for each other (oh and the never-ending Facebook private group message helps too!). Anyway, I saw these ornaments (they were a door buster at Micheal’s! 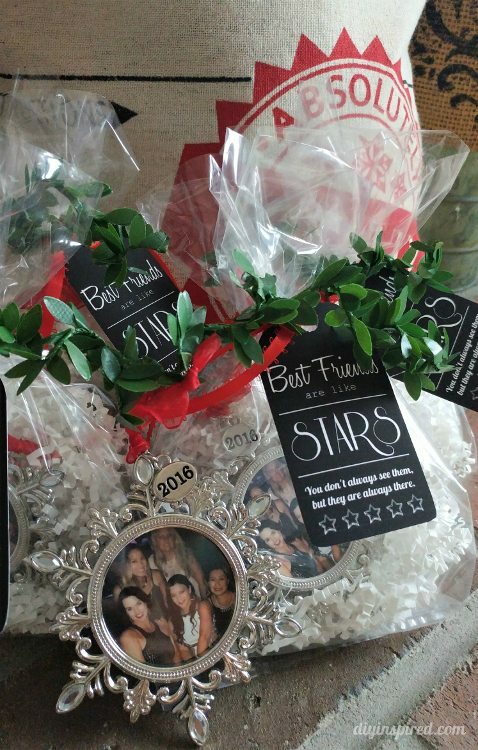 ), placed a picture of our most recent Vegas girls trip a couple months ago and packaged them up in plastic favor bags with a red bow and mini green garland . I also made a little black and white gift tag with the quote. Since I spent so much time on the gift tag, I figured I might as well share it with you as well! 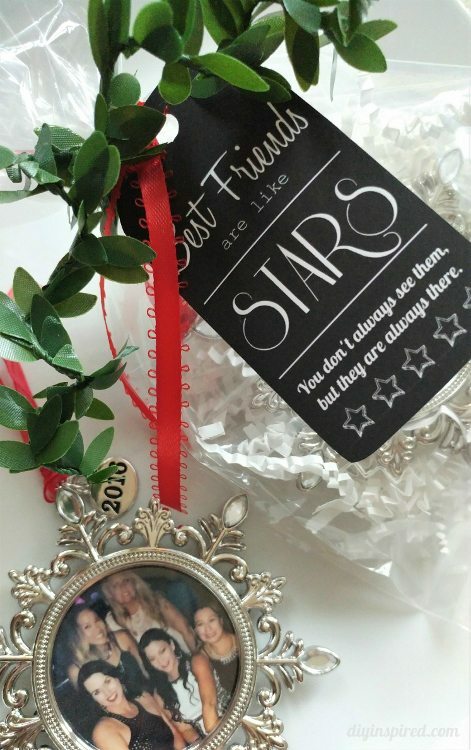 I hope you enjoy my little best friends Christmas gift idea and find the printable applicable to your life and your besties! Merry Christmas & a Blessed New Year to you! Thank YOU Deb!! Merry Christmas and Happy New Year to you and your family!